Home Blogging Tips Blogging Tips: How Do I Use Ping-o-matic? Several of you had questions about how to use Ping-o-matic from this post on Blog Hop Commenting. Here are the basic instructions. 2. Get your comment url. I have outlined a few places you can find it, and what it should look like in the picture. 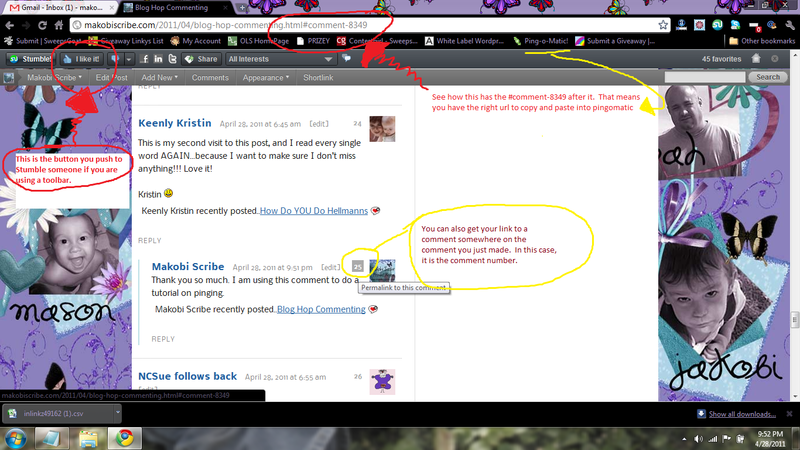 I also circled where you can find the like button on the Stumble Upon toolbar for Stumble Through Thursday. 3. 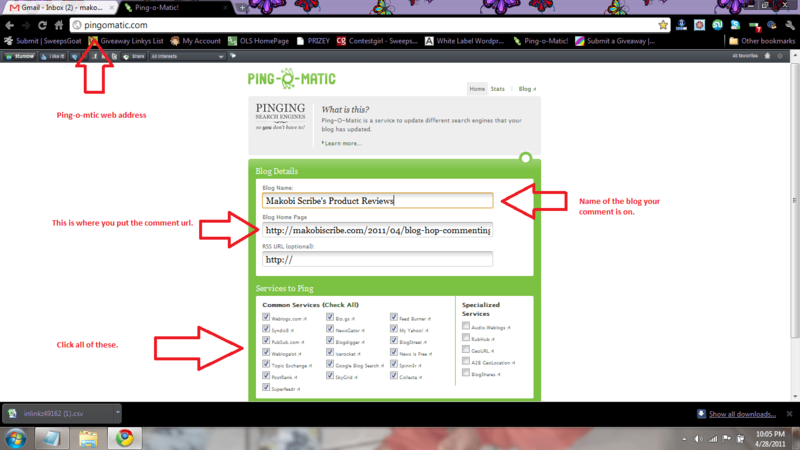 Enter the comment url on the Ping-o-matic page. 4. Enter the blog name you are commenting on. 5. Check all the boxes on the left.